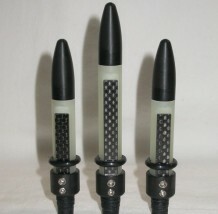 I love these Edge drone reeds. They literally saved my 2017 McCallums from being sold off, as I was never really happy with my sound. Turns out it was just my previous synthetic drone reeds that I was unhappy with. 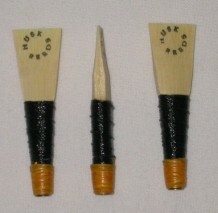 The Edge reeds have a great bold sound and are easy to adjust the strength with the adjustment key. The consistent strike ins have improved my confidence and I'm in love with my pipes again! 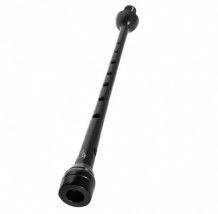 The G1 Platinum chanter is an excellent upgrade if you're using a stock chanter from whomever your pipe maker is. The finger spacing is a little smaller from my McCallum band chanter, which took a few songs to get used to, but I cant see myself going back. It's so darn comfortable. Pitches great with my Husk chanter reed and has not required any tape yet. This is the first chanter reed from any maker that I've never had to break in. Right out of the box it was ready to go. I'm a fan and am considering stepping up to a medium strength reed for my next order.